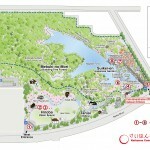 Keihanna Commemorative Park overall park map. 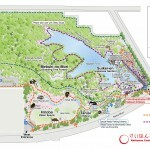 Accessibility map with wheelchair accessible routes and special needs parking area. 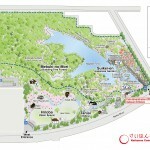 Keihanna Commemorative Park features a variety of outdoor artworks.